Well its finished. “Hold Me #4” that is. When looking back at the previous 3 pieces I noticed the couple was fairly distinguishable from each other. I decided this time I would make them more interconnected. I also thought I’d aim for a tribal/tattooed look. So here it is, another one completed. 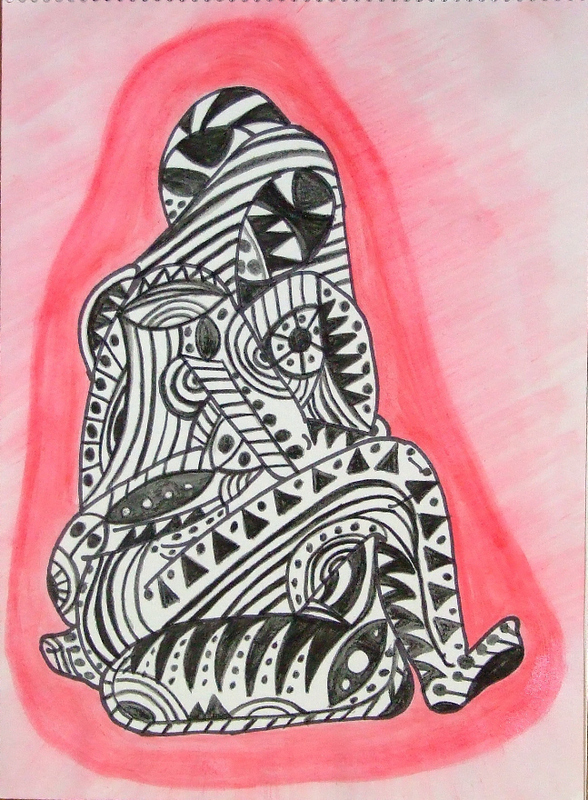 This entry was posted in Abstract, Series, Uncategorized and tagged #4, black, couple, hold, me, red, Series, tattooed, tribal, watercolor on October 18, 2007 by Amanda. The more I look at it, the more I think solid red background for oumph! I also think that #3 is still my favorite in the series. This is an interesting piece though and even before I read what you were thinking, I was thinking, “Hey, tribal patterns.” Good on ya.